The Moken 10 Lite, as the name suggests, is one of the lightest and most compact dedicated fishing kayaks on the market. Feature packaged, and still very stable the Moken 10 Lite is the perfect boat fishing inshore and coastal waters. 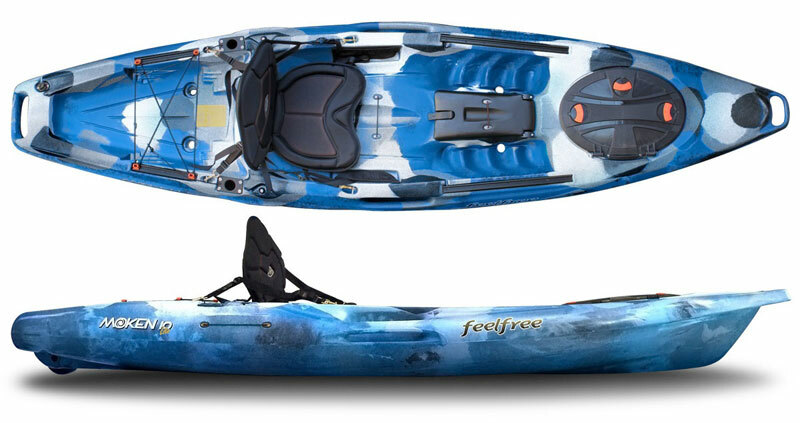 The Moken 10 Lite is a nimble, manouverable and lightweight fishing kayak ideally suited for fishing lakes, rivers and calm coastal waters. The Moken 10 Lite's tri-hull design make it superbly stable whilst still offering good straight line tracking, whilst the slicey bows allows it to perform well on inland and coast waters without comprimising manouverability. The Moken 10 lite's compact design and lightweight construction make it ideal for accessing inland waterways and the wheel built into the keel makes it easy to transport to and from the water. 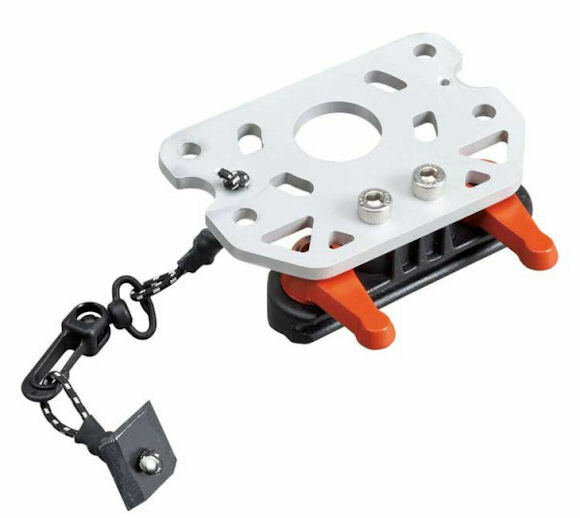 The moken 10 Lite features feel free's modular track system for easy attachment of acessories, aswell as 2x flush mounted rod holders, a large oval front hatch, centre storage pod and round storage hatch, rear storage area and moulded in carry handles. The Moken 10 Lite features Feelfree's "Wheel In The Keel" which makes getting the boat to and from the water a breeze. 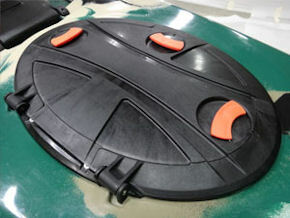 Whilst this wheel is only designed for hard surfaces, it makes moving the moken 10 down the slipway or to and from the garage to the car much easier. We offer a delivery service for the Feelfree Moken 10 Lite throughout the UK & Ireland to home and work addresses. If you are local to our shop in Hamworthy, Poole then we may be able to deliver a Feelfree Moken 10 Lite with one of our own vehicles. For boats, this is free to most BH Postcodes - please call us on 01202 625256 to discuss your requirements. Buy a Feelfree Moken 10 Lite online from our website and collect from our shop in Hamworthy, Poole or you can collect from any branch within the Canoe Shops Group. There is no cost associated with instore collection.